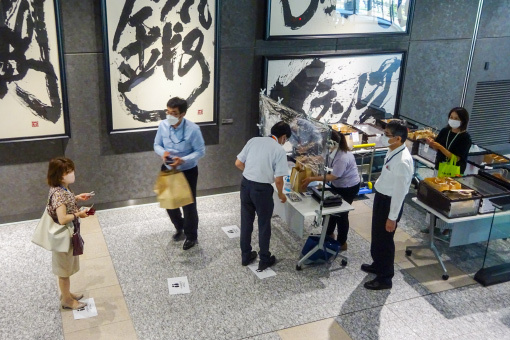 The Volunteer Center, located in the General Affairs Division, provides information and promotes educational activities with the aim of supporting employee volunteer activities. 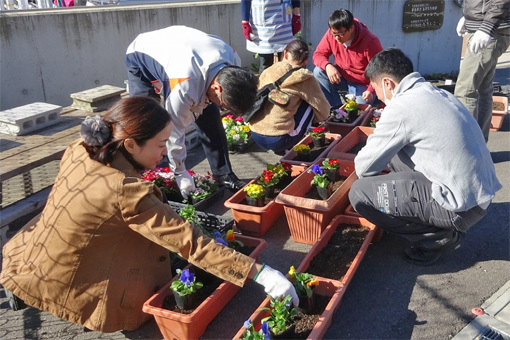 It also plans smaller-scale volunteer activities which employees can participate in, and encourages them to experience volunteering for themselves. 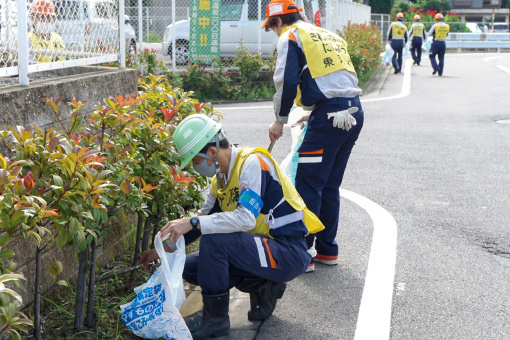 During fiscal 2017, we increased participation in activities through efforts such as an increased number of activities to promote coexistence with nature, starting the collection of used books, and introducing a canteen menu that supports regional recovery. 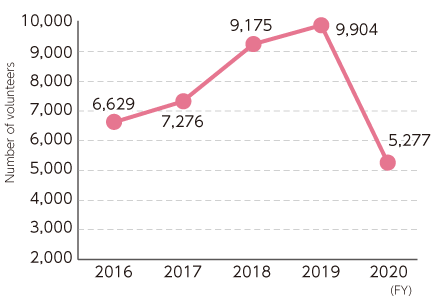 We also set a record with a total of 7,276 volunteers, which was 647 more people than last year. 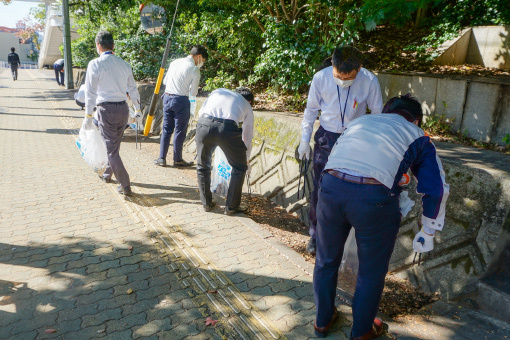 In addition to holding the “Nearby roads clean-up campaign” every two months to help clean our neighborhoods, we have been holding Clean Aichi Day every October since 2009, together with employees of domestic and overseas subsidiaries, as one of Aichi Steel’s CSR Enhancement Month activities. 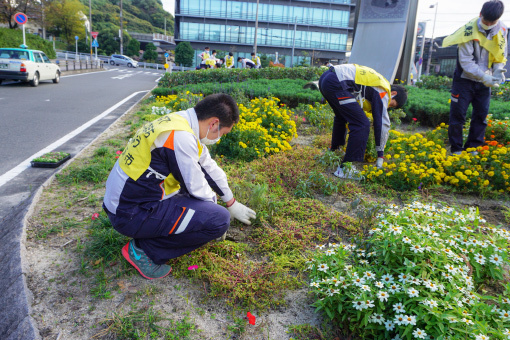 Twice every year, students of the Aichi Steel Technical Training Institute plant flowers in the roundabout in front of Meitetsu Shurakuen Station, the station nearest our offices, as one of our activities to clean the neighborhood. Launched in 2010 to mark the 70th anniversary of our founding, every year we visit schools to present a “Lesson about Iron” to students. 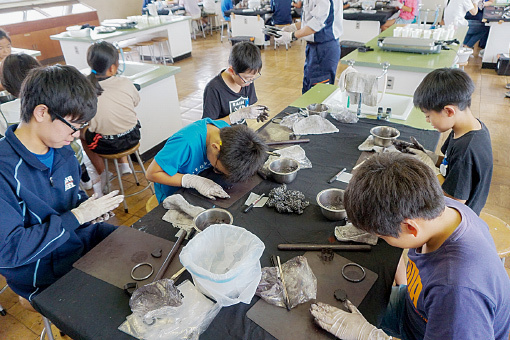 The project, which is in its ninth year, aims to teach elementary school fifth graders about the local industry of Tokai City, the largest iron-producing region in central Japan. 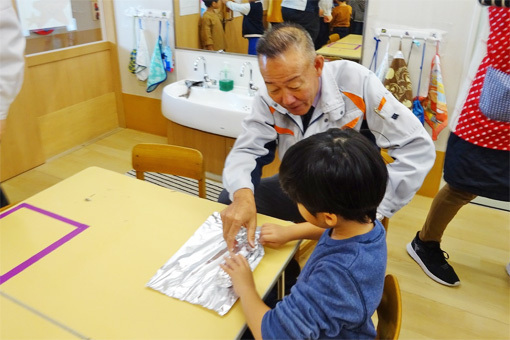 Through a lesson called “Making Magnets,” we offer a fun way for all elementary school students to experience manufacturing. 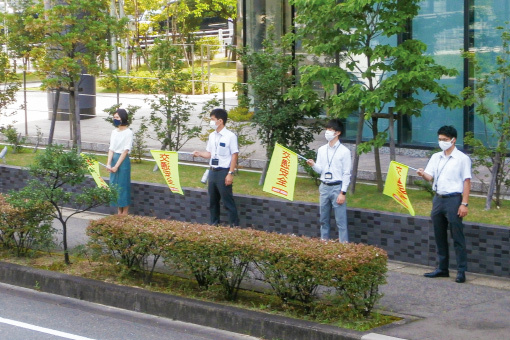 Aichi Steel conducts traffic safety awareness activities as a responsible manufacturer in the automobile industry. One of those activities is “Zero Day” safety patrols that each site continues to conduct. 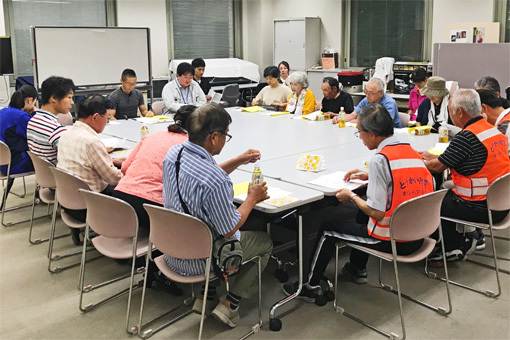 Established in 1993, the Aichi Steel Volunteer Fund continues to donate to local social welfare organizations and others and to provide support to disaster-affected areas, including after the Kumamoto Earthquake. 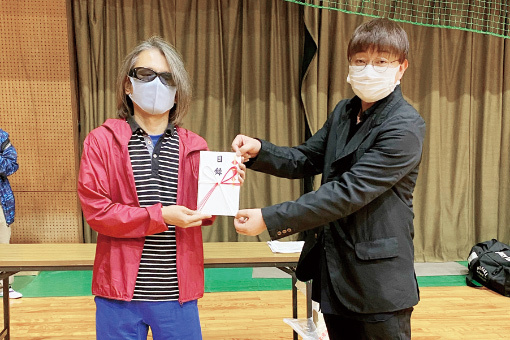 Another voluntary and ongoing program that employees can participate in is the “one-coin” donation program, where they donate 100 yen from their pays every month. 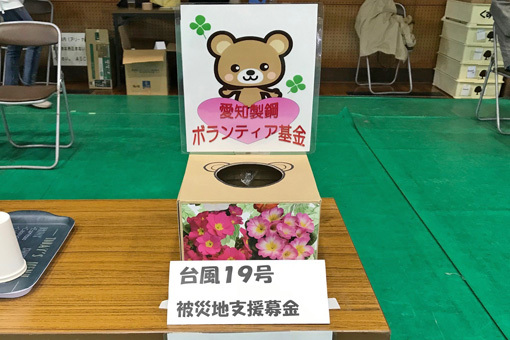 In fiscal 2017, we started a new initiative to support welfare facilities for disabled persons, with the installation of collection boxes for used books, CDs and DVDs at four locations around the company. 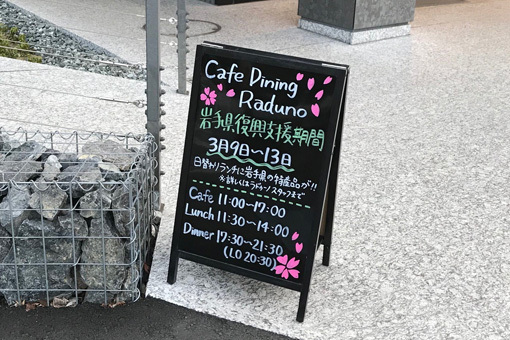 We also introduced a canteen menu that supports regional recovery as a new initiative to support disaster-affected areas. 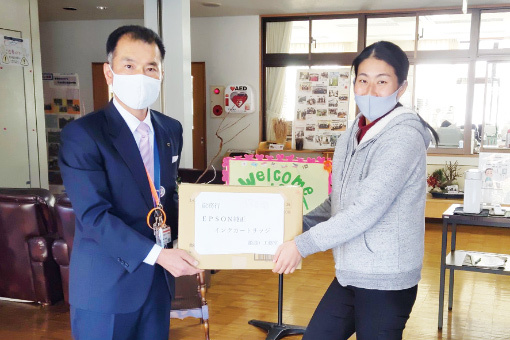 Through the Aichi Steel Volunteer Fund, and company donations from our matching gift program, we have donated items to the equivalent value of 2.2 million yen to local social welfare organizations and others. 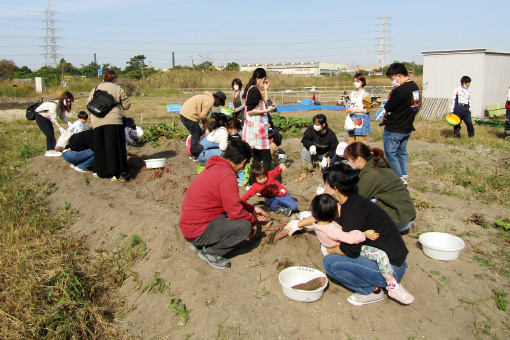 As part of our efforts to support disaster-affected areas, after events like the Great East Japan Earthquake, the Kumamoto earthquakes or the heavy rains in northern Kyushu, we hold sales of local produce at plant open days and other events, and every year we collect goods to be used for disaster recovery. 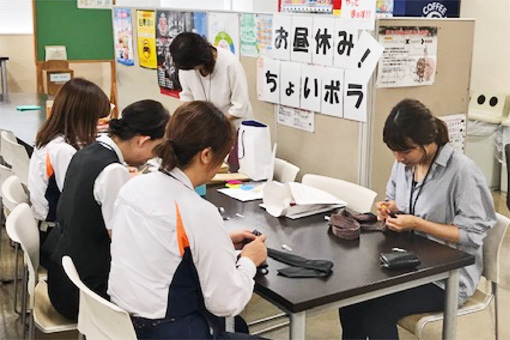 In fiscal 2016, we started a new initiative called the “Volunteering and Welfare Hands-on Classroom” to enable employees to participate as volunteers in the local community, and to better understand social welfare. 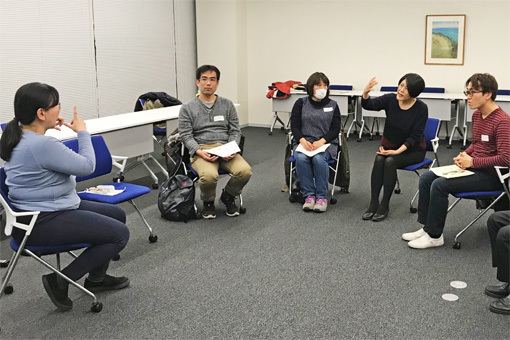 So far, we have held five classes, including a dementia support training course, a sign language course and disaster volunteer center establishment and operation training. We have started a collection drive as a support activity for welfare facilities for disabled persons. The used books we collect are fixed up for resale by persons with disabilities, with profits going to the workers involved.